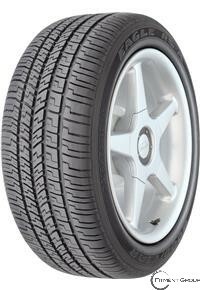 A quality performance tire for all-season traction in dry, wet, and snowy conditions. A unique asymmetric tread design helps provide enhanced traction, superb cornering, and a quiet ride. Aggressive shoulder tread blocks and wide lateral grooves offer confident handling in wet, dry, or snowy conditions.